If you were born in the 70’s, you probably heard of Concorde. 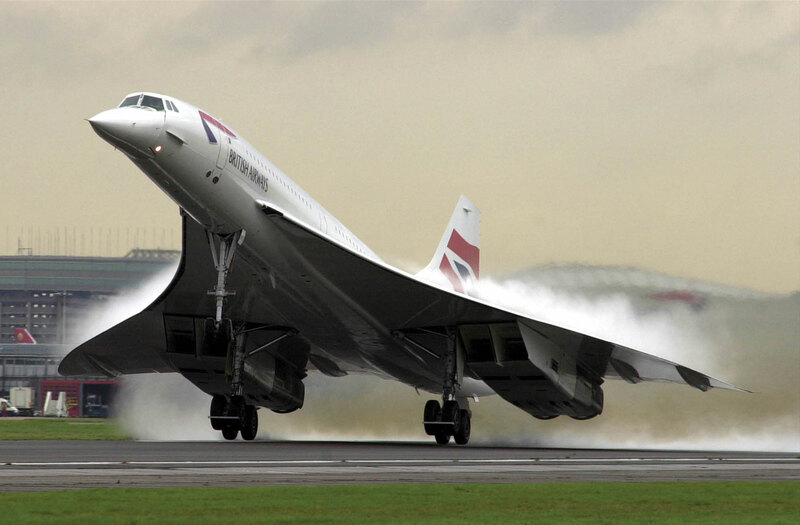 For those born a tad bit later, Concorde was the second supersonic commercial passenger jet that flew at speeds over twice the speed of sound (Mach 2.04 to be precise) and operated between 1976 and 2003. The supersonic jet was used for transatlantic flights and took less than half the time to reach its destinations. After its sole horrific crash in 2000 followed by the decision of Airbus to to stop maintenance, Concorde was retired in 2003. Concorde may come back from retirement and once again take to the skies if a particular group of enthusiasts from Club Concorde succeed. Club Concorde is a group made up of frequent Concorde fliers, charterers and former pilots.Through private investment, the group now believes it has enough capital (£160 million to be exact) to open a tourist attraction near the London Eye and to restore a jet to be used in air shows and have it made available for private charters. The tourist attraction would charge £16 per person and feature a restaurant that will serve dishes originally available on the actual Concorde flights. Paul James, President of the Concorde Club hopes to have the tourist attraction up and running by 2017 and is aiming to have the second aircraft ready for flights by 2019. As British Airways and Air France have no plans to restart commercial Concorde flights, you can expect to pay a pretty penny for the chance to ride in one, IF it ever takes off again that is. Even though previous attempts to resurrect the Concorde have failed, this time there may be some hope. Airbus itself is poking around the idea of a Concorde Mark 2 that will be even faster than its predecessor and ferry passengers between New York and London in just one hour. It seems with time, people have begun to warm up to the idea of supersonic commercial flights again. In this world of ever increasing air traffic, some super fast jets may help alleviate conditions. For now though, we will have to wait and watch what happens in the aircraft scene.